Last week the lovely Scotty Brand sent me some carrots to make something with them. 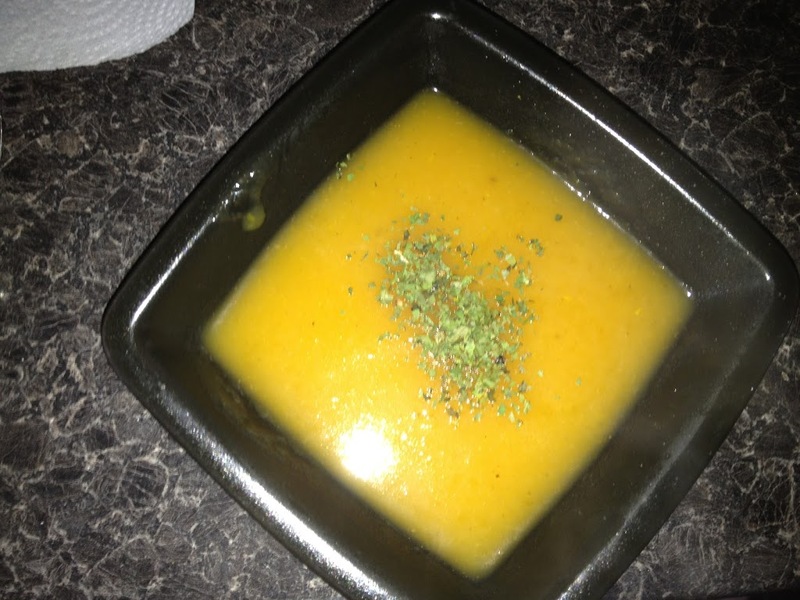 They sent through a recipe for Carrot and Orange soup. I wasn’t sure about this as my oldest isn’t keen on oranges so I went for the safe option of Carrot and Coriander soup as it is a firm favourite in the house hold. 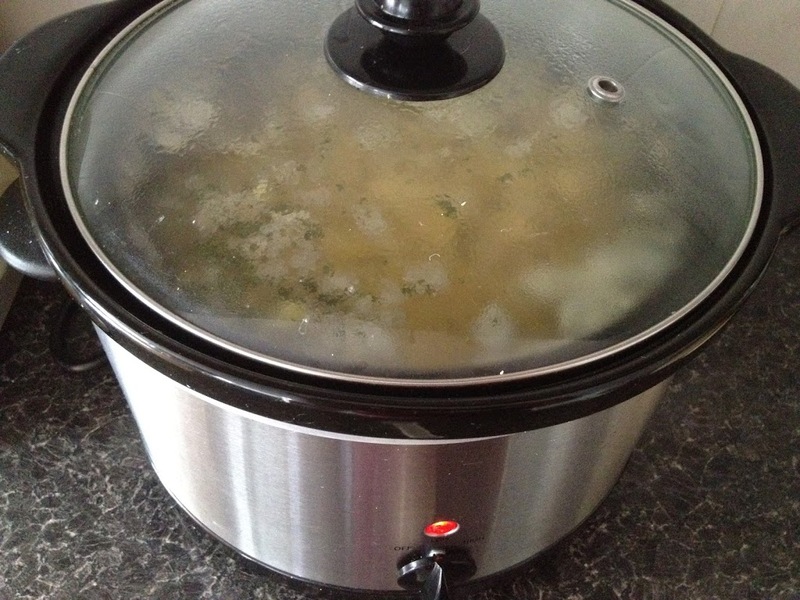 I hadn’t made it in the slow cooker before so thought I’d give it a go. 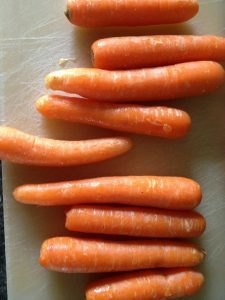 I peeled and chopped the 500g of Scotty Brand carrots and popped them in to the Slow Cooker pot. 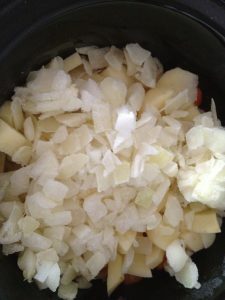 I peeled and chopped up two large Scotty Brand Potatoes and two medium onions and added them to the Slow Cooker pot. I crumpled up two vegetable stock cubes, 1 teaspoon of ground coriander and 1 teaspoon of fresh chopped coriander and put them into the Slow Cooker pot. I added 3 pints of boiling water to the pot and put it onto cook on low for 12 hours. 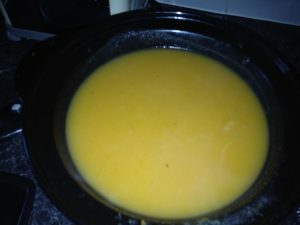 Once done I blitzed it with the hand blender until smooth. Be careful not to get splash back as it’s hot hot hot. Once it is all smooth I served it up. It required a little bit of seasoning for mine and hubby’s but was perfect for the boys. I added some chopped coriander for decoration. I have to say it was very yummy. 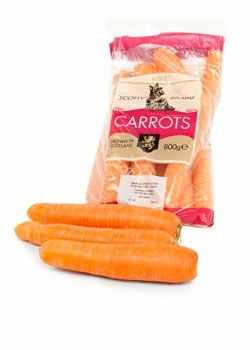 Healthy and perfect for the boys. I took some for lunch the next day and we froze some. It freezes well. I added a little milk to the little one for his to cool it down. Serve with a big chunk of bread and you have a tasty and filling meal. It really was delicious and the boys cleared their bowls. Disclaimer:- I was sent some bags of Scotty Brand Carrots to try out some recipes, I have not been paid for this post and the opinions expresses are my own. I have included links out of courtesy for a brand I love.